Hi guys!! 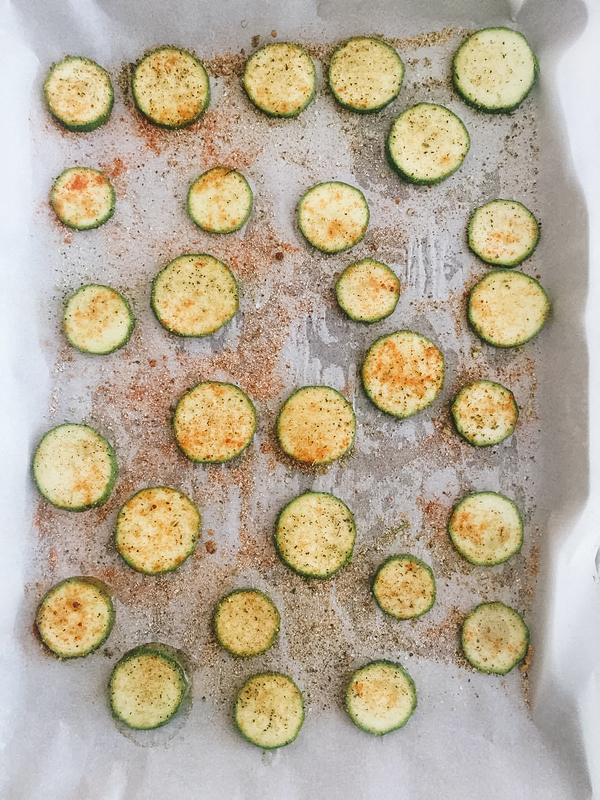 With sports season coming up, I wanted to share the recipe I've been using for oven-baked zucchini chips! Y'all know my love of salty foods, especially chips & salsa! 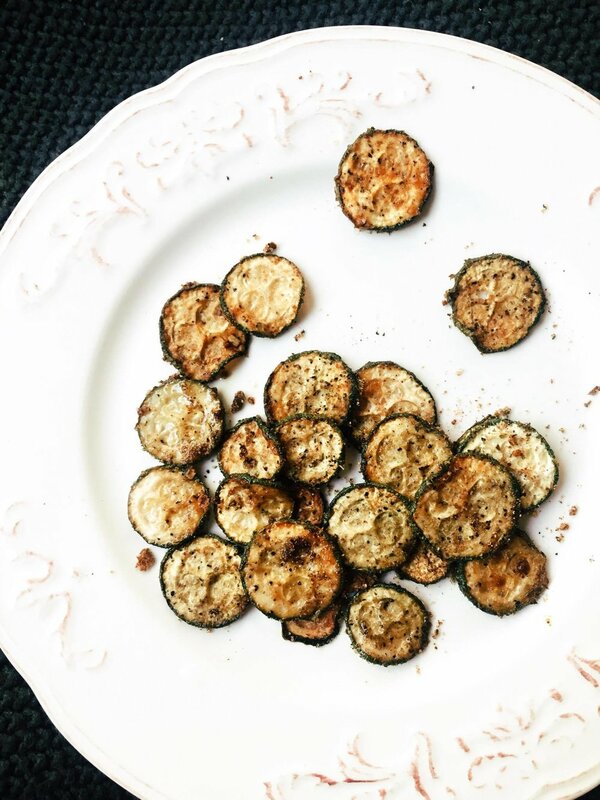 But since those aren't the most healthy of snacks, I've been trying these baked zucchini slices! It's super easy and they taste really great! 3-a. I actually prefer to lightly coat the slices with oil once they're on the pan with a spoon or a brush, I feel like that keeps them from getting too oily, ya know? What is your favorite healthy, game time snack? Let me know in the comments!